As the festival of creativity celebrates fearless work that engages controversy, there will be a growing role for those who handle fallout and debates, writes BlueCurrent Japan MD Tetsuya Honda. The Cannes Lions International Festival of Creativity has wrapped up for 2017. I served on this year's PR jury, which evaluated more than 2,200 entries from around the globe. While Publicis Groupe stunned marketing professionals in announcing that it would not participate in any advertising festivals in 2018, Cannes Lions should still draw countless advertising professionals. Top creative teams should always remain essential for Cannes success. But down the track, I dare say that risk management experts may also become pivotal to picking up Cannes gongs. 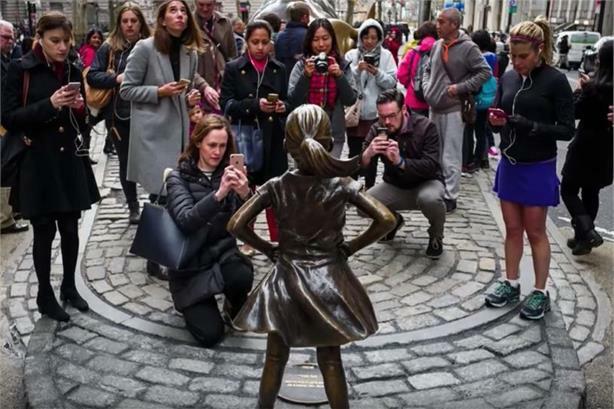 The campaign that took Cannes by storm this year was Fearless Girl. It won top honors in the first three Grand Prix awards handed out, for the PR, Nontraditional Outdoor, and Glass categories. The McCann New York campaign for State Street Global Advisors entailed installing the statue of an intrepid girl across the street from Wall Street's iconic Charging Bull. The idea was to shed light on limited opportunities for women in the financial services industry, where gender equality remains a key issue. The campaign captivated the world, reaching a billion people through Twitter in its first 12 hours. Sales of State Street's SHE fund rocketed 384%. The exchange-traded fund invests in the shares of companies that champion female leadership. Tapping into the importance of gender equality and delivering tangible results contributed to success at Cannes. But the prime factor in the win was that the campaign message was unafraid of vested interests. Corporate and campaign courage has become an important element recently at the festival, resulting in awards to other entries on grounds similar to those for the Fearless Girl gongs. We should welcome campaigns that advocate fearlessness and controversy in these increasingly uncertain times. Few timid messages see the light of day in today's social media-driven climate. That means that companies have to take on more risky approaches. If they succeed, they can reap praise, but they also have to step up risk management behind the scenes the braver their campaigns become. Fearlessness can be foolhardy if you fail to put contingencies in place for backlashes, brand damage, and litigation. In other words, the need for risk management should be in lockstep with the pursuit of the creative approaches that are so treasured today. Just two weeks after the triumph of Fearless Girl at Cannes, a new campaign bombed here in Japan. On July 6, Suntory had to pull a promotional video for a new beer brand called Itadaki after just one day. The video depicted a woman suggestively imbibing a beer in front of a male protagonist she had just met during his business trip. The video triggered a furor, complaints including that the scene constituted sexual harassment, showed contempt for women, and was just plain vulgar. The video was fearless only to the extent that it was at odds with a rising public interest in gender equality in Japan. Press reports later revealed that a leading advertising agency group drove the whole production process and that Suntory's public relations team, which had to sort out the mess, had little involvement from the planning stage. Anne McNally, head of North America PR for State Street Global Advisors, spearheaded PR for the Fearless Girl campaign. She said that, "We handled all of the public relations and crisis management internally." She told PRWeek that when she saw an early a mockup of Fearless Girl, her gut reaction was as a business professional. She added, "My second reaction was that I have to map the risks associated with this campaign as a comms professional." McCann New York and State Street's internal PR unit collaborated closely behind the scenes. So, while Fearless Girl was spot on in addressing gender equality, Suntory's video lost the plot. This contrast sadly exposed Japanese companies' shortcomings on the social media and PR fronts. Specialty silos are becoming more prevalent in what is becoming a massive communication sphere. Crisis management is likely far from the minds of many agency people who are Cannes Lions devotees. Equally numerous risk management specialists may conclude that Cannes has nothing to do with them. But social media's prominence as an information amplifier demands that creatives and crisis professionals work in sync They must spare no effort to control the uncontrollable and courageously read between the lines of controversy. Tetsuya Honda is MD of BlueCurrent Japan. He served on the PR jury at 2017 Cannes Lions. This column first appeared on campaignasia.com.